If you weren’t able to catch a glimpse of the “Great American Eclipse” in person on Monday, there’s still a way to find out what, exactly, you missed. Use the interactive below to see how the rare spectacle looked in your city or town at different points during the day. 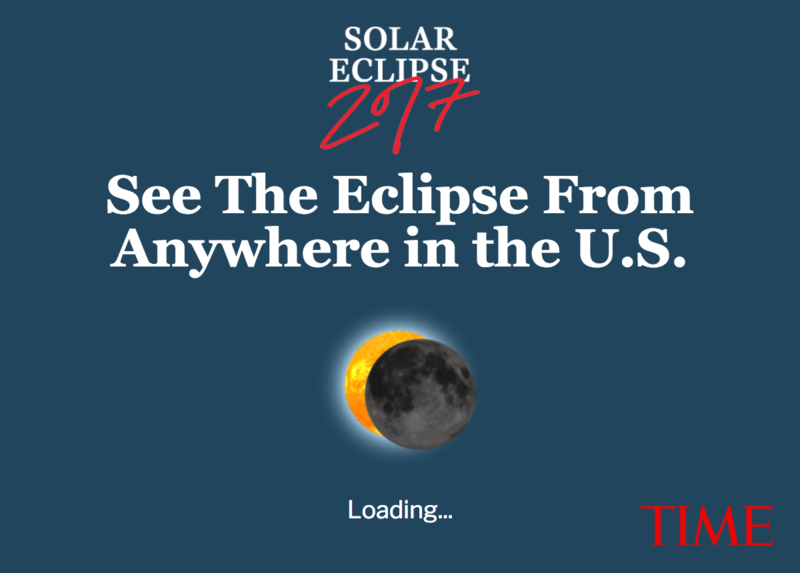 The total solar eclipse followed a path across the United States from Oregon to South Carolina, concluding at 2:44 p.m. ET. While most of the country saw a partial eclipse, locations in parts of 14 states experienced totality. This four-minute video captures the view from one of those places, showing the total eclipse as it appeared in Casper, Wyo.